It’s football season! Since there are so many college teams, I’m doing a little bit at a time with the different teams. Tennessee Vols cupcakes! With buttercream icing. The footballs are made out of chocolate, and I had to freehand the T on the cupcakes. UNC Tarheels cupcakes! With buttercream icing. The footballs and NC symbol are made out of chocolate. I got the mold for the NC symbol from www.fanpan.net. These cupcakes are perfect for the Georgia Bulldog fan. Yellow cupcakes with buttercream icing, the footballs and helmets are made out of chocolate. The icing was tinted to match the school colors, red and black. What I enjoyed most about making these Clemson cupcakes was the tiger paws. I knew that I wanted a white background, but wanted the colors to pop, so I decided to do the paw in orange and the background in purple. The paws and footballs are made out of chocolate. The cupcakes are yellow with buttercream icing, tinted to Clemson’s school colors, orange and purple. LSU Tigers. French vanilla cupcakes with buttercream icing. The footballs and tiger paws are made out of chocolate. West Virginia Mountaineers Cupcakes! My dad got all excited when I sent him the picture of these guys, and asked me if I could save a couple for him. That side of the family is huge Mountaineer fans! 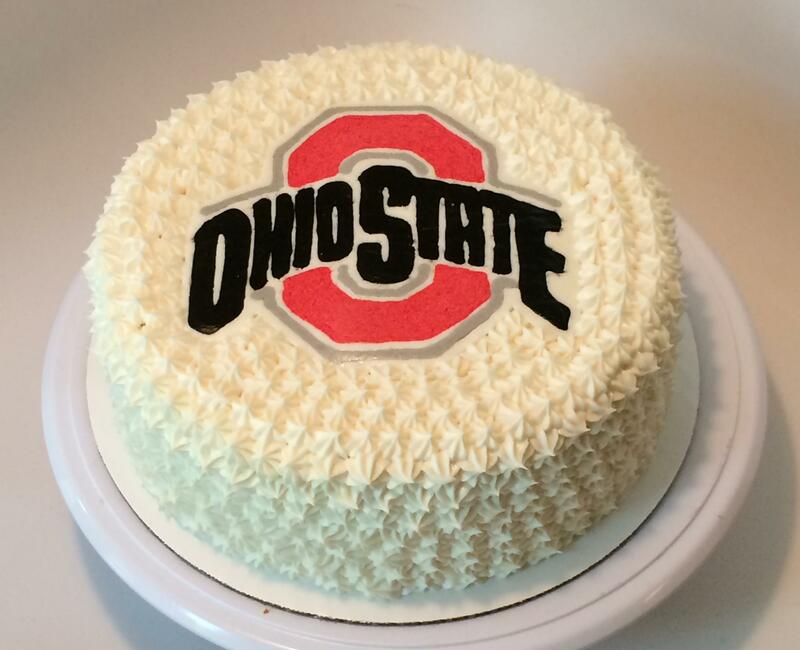 I made this Ohio State Cake for a classmate in culinary school for her birthday. That’s where she’s from, and she was all excited over this cake! 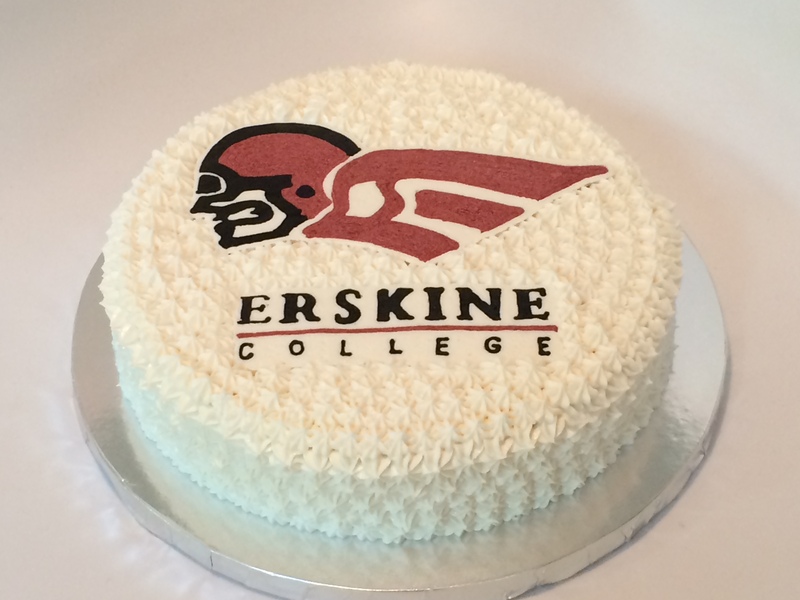 This cake was for a high school grad planning to attend Erskine College. Gotta love these buttercream transfer designs!